So as a busy mom of two sweet boys (that I adoreeee) most days I don't have a lot of time in the morning to get ready for the day. 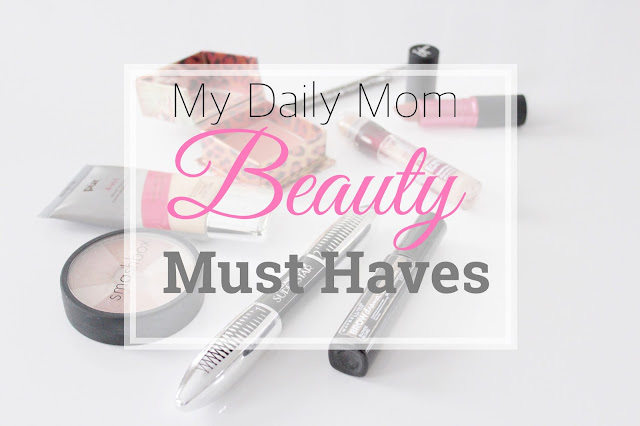 I thought I would share some of my daily momma beauty must haves with you all because these products are my go to's and help me create a put together look (aka hiding mad under eye bags due to serious sleep deprivation) really quick. 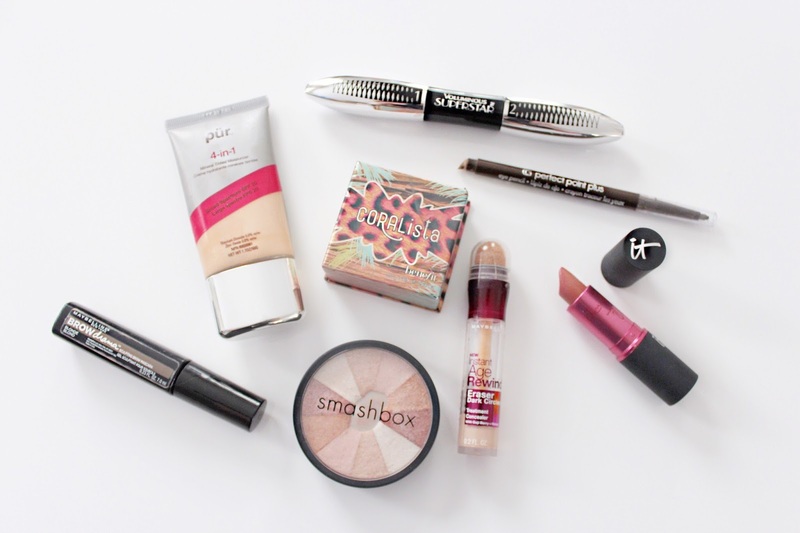 I like to keep things pretty simple with my make-up on a day to day basis and the look I achieve with these products takes me 5 minutes or less. First up is my favourite Pur Minerals tinted moisturiser. I prefer a light coverage on my skin and this gives a dewy finish and I love how easy this is to apply with your fingers. I mean lets be real here, as much as I would love a relaxing, apply every product with a brush in slowmo moment in the morning it's a lot more like lets slather this on real quick while I have my 8 month old in one arm and my toddler pulls out every lipstick that I own from my make-up drawer (which is a lot). So this tinted moisturiser is great and works like charm. Next up I dab a little concealer under my eyes to cover up.. you guessed it-bags. My favourite is the Maybelline age rewind concealer. It's so simple to apply and I love the sponge tip. After that its onto blush, now this I switch up a lot but lately I have been loving Benefits "Coralista" because it's a nice peachy pink that has a bit of shimmer to it. After I slap some of that on I dust a little bit of this Smashbox highlighter on top. This tinted brow gel by Maybelline is great. I use the dark blonde colour and it's perfect for keeping my crazy eyebrows in check and because its tinted it helps fill in any sparse areas. Score. Then it's onto mascara, which is one of my favourite things because it really helps open up a tired mommas eyes. I change mine out all the time but right now I am loving this Loreal mascara. I also use this Covergirl eye liner because its super easy to apply and has a smudge tip so you can just rub out the line and it doesn't have to be perfect. Lastly I put on some lipstick, gloss, or chap-stick, it just depends how I am feeling that day. This ITcosmetics long wear lipstick in "Damsel" is probably my most used because it's hydrating and lasts a long time so I don't have to keep re-applying. I hope you guys have a great start to the week, Happy Monday!